People have predicted the death of newspapers for as long as newspapers have faced competition from other media. But newspapers survive – not because they are a profitable business (although many have enjoyed enormous margins in the past), but because they offer benefits beyond the revenue from advertising and cover price. Influence and status are hard to buy. As long as newspapers offer either, there will be proprietors willing to make a loss on the balance sheet, for benefits elsewhere. The launch of ShortList in 2007 will increasingly be seen as a turning point in the publishing industry. The magazine and its sister titles – along with the rise of free content online – have helped pioneer a change in the attitudes of advertisers to free titles. The Evening Standard has helped cement that. Free no longer means poor quality, or low engagement. But there will be no such thing as a free lunch: ‘free’ content will actually be paid for with the customer’s information – the swipe of a loyalty card (or your mere presence) will confirm that. There will be a major role for an organisation like Amazon, Facebook or Tesco in these transactions – or equally likely, a new entrant. It could also involve Apple – but only after Steve Jobs leaves. Some of these companies may even buy publishers as a way to get more customer data. Meanwhile, publishers will continue to push prices in the other direction – converting the newspaper from tomorrow’s fish and chip wrapping to a luxury product, where you are buying access to an exclusive club as much as the content itself. The casualisation of employment generally is a trend that pre-dates the internet, and there’s nothing to suggest that will not continue – especially as it can be facilitated by internet technologies. The idea that once upon a time people did not publish any journalism until they were hired by a news organisation will seem incredible by 2036. By then, the industry may well resemble the music industry of a decade ago, where you were expected to build a fan-base through regular gigging. So here’s a fantastical picture of a newspaper’s recruitment team in 25 years’ time: a veritable A&R department, scouring social media to see if they can pluck the next rising star before their competitors do. But that won’t be the end of the story: as news becomes increasingly tied to the reputations and networks of those who produce it, an increasing number of journalists will use the move to a major publisher as a stepping stone to their own independent niche news operations. Talk about journalism in 2011 suffers from a tendency to classify the profession too narrowly. While traditional publishers scale back operations, new startups are hiring. In magazines we’ve seen incredible growth in customer magazines and in-house publishing, and in broadcast there has been an explosion of channels serving a similar need. By 2036 all of those operations will have matured considerably – and expanded. The transport industry will employ more journalists – directly or indirectly – than The Liverpool Echo. Possibly. Either way, many organisations and industries will have long ago moved beyond communicating directly with customers, and have begun using content as a way to attract them in the first place. That is, after all, how some newspapers evolved. We can only hope that the next generation of media offers a place for independent journalism, with competition driving quality up. The commercial drive in media in 2011 is towards more and more specialist niches (or bigger and bigger networks of those niches). In addition, the skills required to deal with information are becoming more and more varied. From a time when you either typed articles, recorded audio or edited video we are entering a period where you need to be able to do all three and dozens of other things besides. This is difficult for journalists because the rules of production are not well established, and media literacy is equally immature. 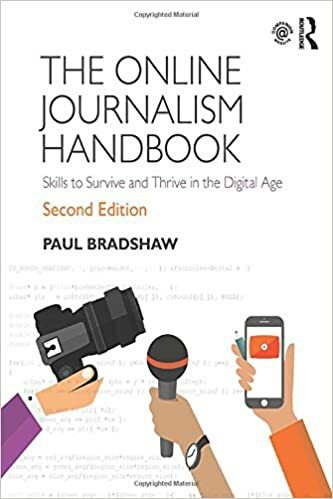 But in 25 years, institutions will have explored many different ways of organising their newsrooms and the journalists within them – and settled on better ways of working. 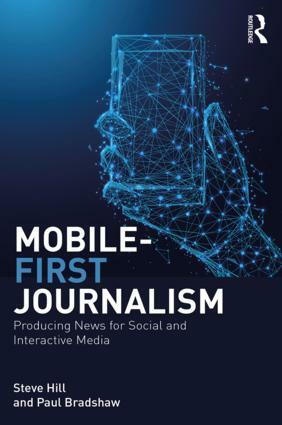 This may involve junior reporters who will be expected to work across multiple platforms – but there will also be more senior journalists who are experts in video, data, or the communities they serve. At the same time, the tools of production will have become much simpler – and the genre more established. It is only in the second decade of online journalism that we are seeing forms native to the medium: audio slideshows, maps, clickable interactives, databases. Those forms will mature and conventions will develop which by 2036 will seem normal – even formulaic. So as I jump in my hover-car to fly off to my next big story (wearing fluorescent pink, of course), I leave my crystal ball behind. Call me back in 25 years when I look forward to laughing my socks off at just how hilariously wrong I’m going to be. UPDATE: As if to prove my point in Prediction no.4, here’s Saab buying a blog about Saab cars. I think 5. is the safest bet of the bunch; as older journalists retire what is currently wielded especially by those under 30 will flourish and become a standard. That point is guaranteed to be at minimum partly right. For the young uns’ of that time they’ll be a bunch of equivalents to today’s innovation, together with ideas jostling for influence. Like the ideal of 3. – it sounds almost a full circle in that the freelancing atmosphere of pre-1980s journalism will revive. Better news and more individualism flourished back then, but I struggle to see how the press wires work into this equation – a compact staff doling out stuff en masse has suited them well. It’s more selfsame slabs of dark or milk than a selection box today. That isn’t necessarily a question since (as you say) there’s a well-established vanity to future speculations – let alone theorizing about speculation. Despite that it can adopt a sort of IGY whimsy, the optimism of which isn’t amiss in the tumult of this world. The Liverpool Echo may not be owned by Trinity Mirror in 25 years; the behaviour of the firm suggests an exit strategy, albeit one with some residual portion in online media like Media Wales. Once the library downtown opens again I’ll probably garner some pictures of the old broadsheets that characterized a pre-tabloid Trinity. For a few decades in the 20th century working class people gladly read broadsheets; I don’t trust the old people I speak to regards the quality, given that the memory is a kind, gentle judge. Is it next month that the Press Gazette will publish its circulation charts? Be interesting to see how the local dailies here fare. I’m reckoning another 11-13% fall for the Post, with the Echo on an 8-10% drop. Speaking of predictions, I believe that bet of ours concerning the News Corp. paywalls is soon to be determined. I’m guessing the stats will be published by the aforementioned Gazette, or journalism.co.uk? Should be fun in any case. People are very important of course but the technology affects almost every field of lives, for example: the ipod, ipad, plasma TV, computer etc’.